Dominated by mountain ranges and verdant forests, gouged by fertile valleys, and flanked by lovely beaches and the ocean, Costa Rica is undoubtedly one of the most beautiful places on earth. Vivid colours of nature, a virtually unmatched range of outdoor activities, friendly, hospitable people, and the subtle charm of an essentially rustic lifestyle all combine to make the country one of the world’s favourite tropical holiday destinations. Costa Rica is near and dear to my heart as it was the first country my family adventured together outside of North America. I had just bought my first camera and brought ten rolls of film to document our winter break holiday. There’s something very special about exploring a foreign culture for the first time. I’ll never forget the unfamiliar humidity as we marched through an awe inspiring cloud forest, sipping freshly squeezed tropical juice and locally harvested coffee each morning, taking a swing at my piss poor Spanish, swooning for adorable sloth and snorkeling straight off the beach. 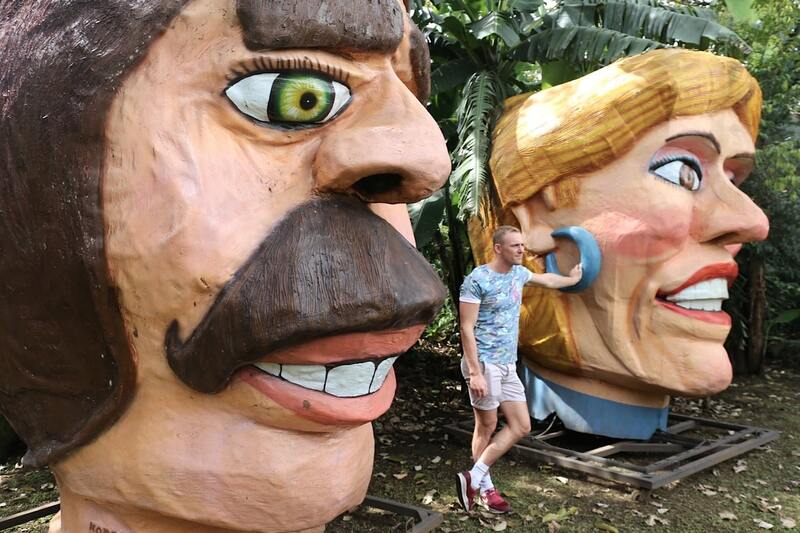 On my second trip to Costa Rica I was eager to explore a new region of the country in hopes that fond memories from my childhood visit would leave my mug smug. I researched the trip weeks in advance using the newest edition of Eyewitness Travel Costa Rica (DK Publishing, 2016) which includes detailed itineraries and “don’t miss” destination highlights at a glance, illustrated cutaway 3-D drawings of important sights, floor plans for major museums, area maps marked with popular sights, top hotel and restaurant listings as well as a slew of info on niche interests such as indigenous culture, classic culinary offerings and local products for shopaholics. 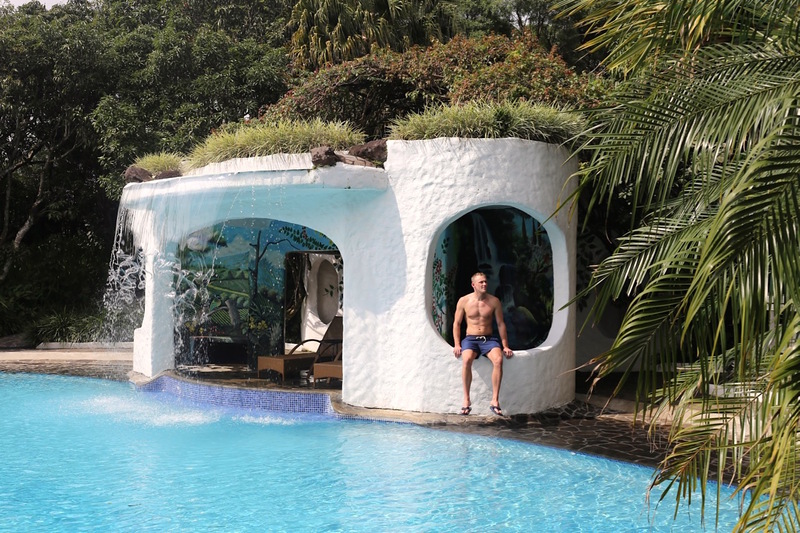 The best spot to start your Costa Rican adventure is a short 15 minute drive from the San Jose Airport. Located in Costa Rica’s Central Highlands, Finca Rosa Blanca offers a home sweet home for those looking for luxurious, eco-friendly accommodation. At 4,000 feet above sea level, Finca Rosa Blanca offers tropical gardens, paths and a thriving, 30-acre organic shade grown coffee plantation. 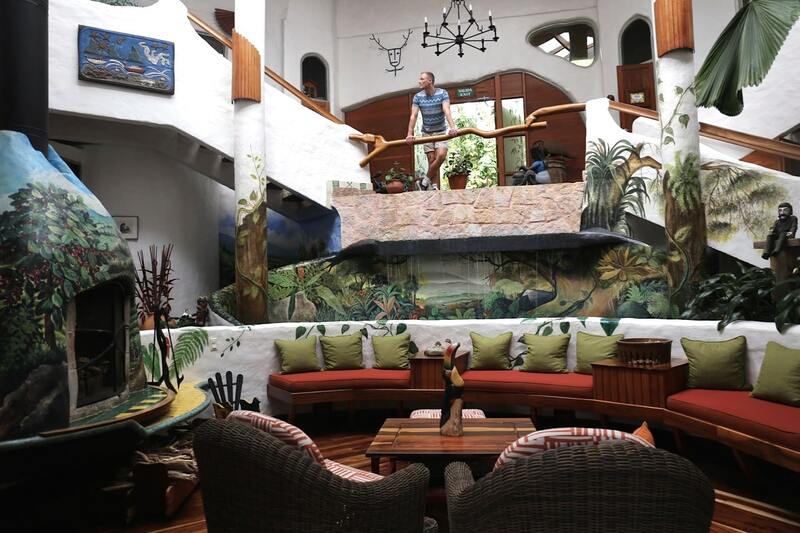 The hotel’s location is ideal for those keen on exploring the region on a road trip as it’s a short jaunt from the hustle and bustle of the capital, the iconic Poas Volcano, and rushing rivers popular with white water rafting enthusiasts. From the beginning, the Jampol family envisioned the creation of an exclusive boutique inn that would become one of the world’s leading personalized hotels, combining luxurious accommodations and amenities, cultural authenticity, environmental respect and sustainable tourism. Today, Finca Rosa Blanca is considered Costa Rica’s ecolodge pioneer, recognized globally as a thought leader in sustainable tourism done right. When it comes to overall guest experience, Finca Rosa Blanca offers 14 uniquely designed rooms (four master suites and 10 junior suites), each featuring private verandas, sweeping valley and volcano views and artistic décor. Common guest areas include a picturesque lobby with 40-foot ceilings, a waterfall reflection pool, skylights and tropical gardens, free Wi-Fi throughout the hotel; eight acres of tropical gardens and paths, including a crystalline chemical-free swimming pool and waterfall and a commodious hot tub. 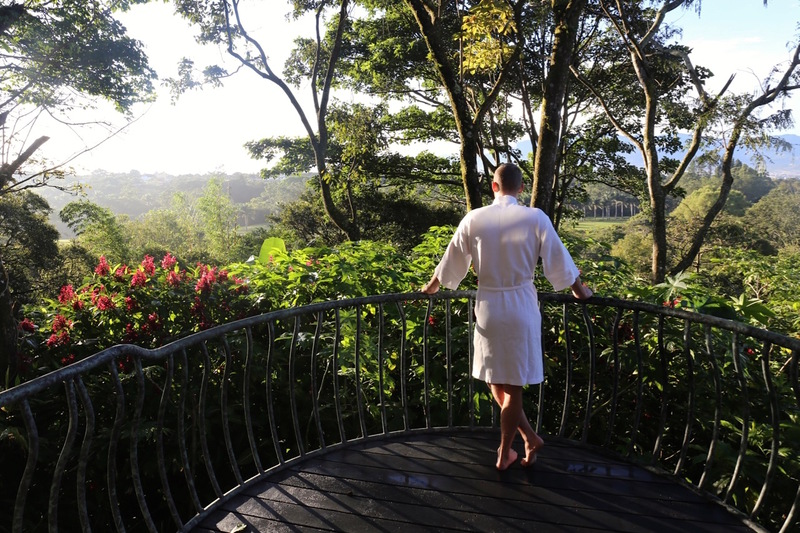 A gift shop features local Costa Rican crafts, organic skincare products, chocolate and coffee, and guests can enjoy a full-service spa, and a garden to table restaurant featuring a fusion of Latin American flavours. To truly appreciate Finca Rosa Blanca’s unique property one should start their stay with a guided tour of its organic shade-grown coffee plantation. 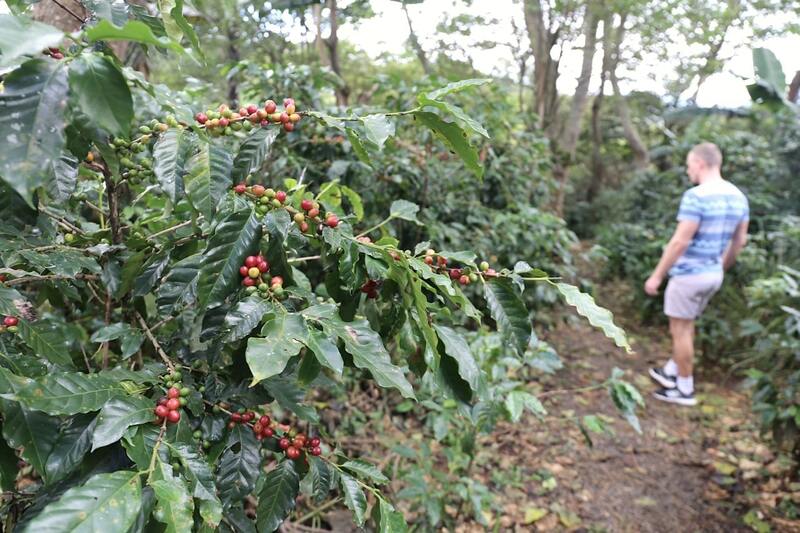 Stroll the bright bush filled lanes while learning about the harvesting process (those who visit between October and January can pick their own coffee cherries), as well as cleaning, drying and roasting. The tour finishes back at the hotel bar where guests enjoy a tutored tasting. 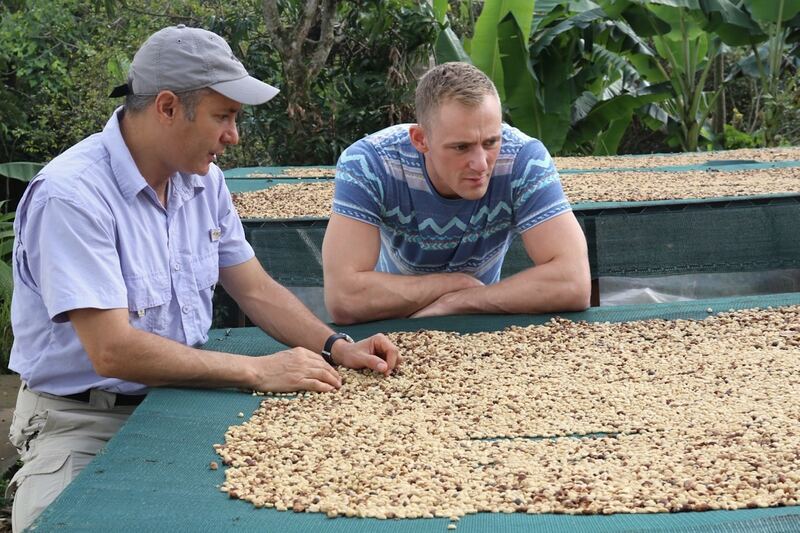 The coffee cupping experience offers newbies the opportunity to differentiate stale and cheap product from a high quality, fresh roast. 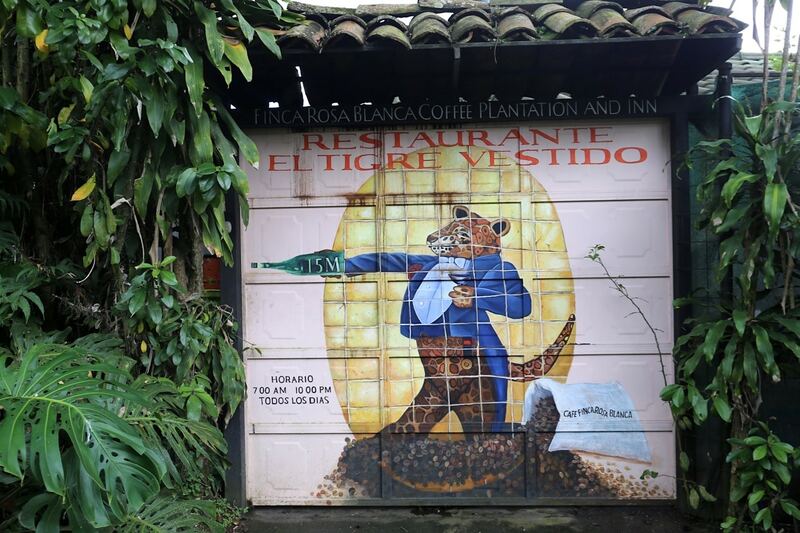 Finca Rosa Blanca’s signature restaurant, El Tigre Vestido, has its own local mascot, a smartly dressed jungle jaguar. The open-air restaurant sits perched over the valley below and is a lovely place to wake up to the world each morning while sipping on freshly squeezed tropical fruit juice and steaming mug of coffee prepared with beans grown but a stones throw away. The restaurant is located in the converted former home of the resort’s owners who now live just down the road. The resort’s organic gardens, orchards and plantation provide most of the ingredients used in the recipes at El Tigre Vestido; all other ingredients are sourced locally and organically whenever possible. After a short stroll from the kitchen you’ll find a gorgeous greenhouse filled with lush lettuce, the cheery cluck of a hundred hens and recycling operation where organic waste is treated via vermiculture (worm bed) based compost system. 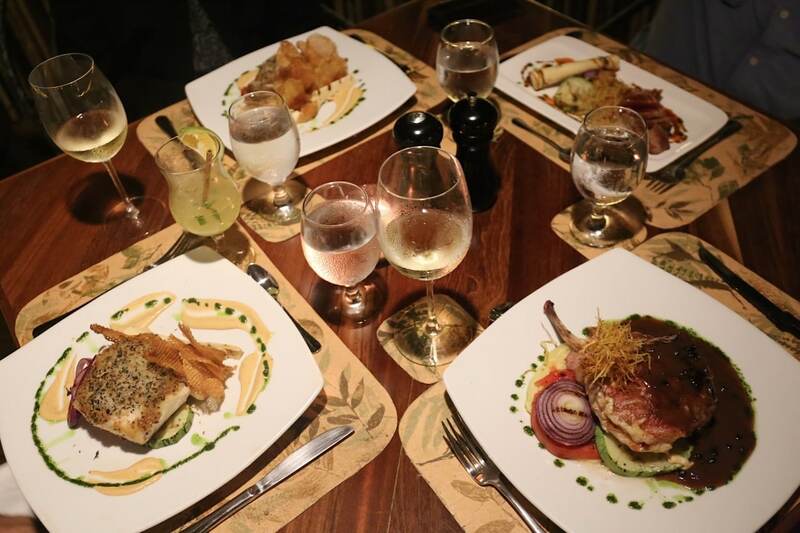 Chef Gustavo Alvarado brings more than seventeen years of culinary experience to El Tigre Vestido via celebrated kitchens in New York City and Naples, Florida. 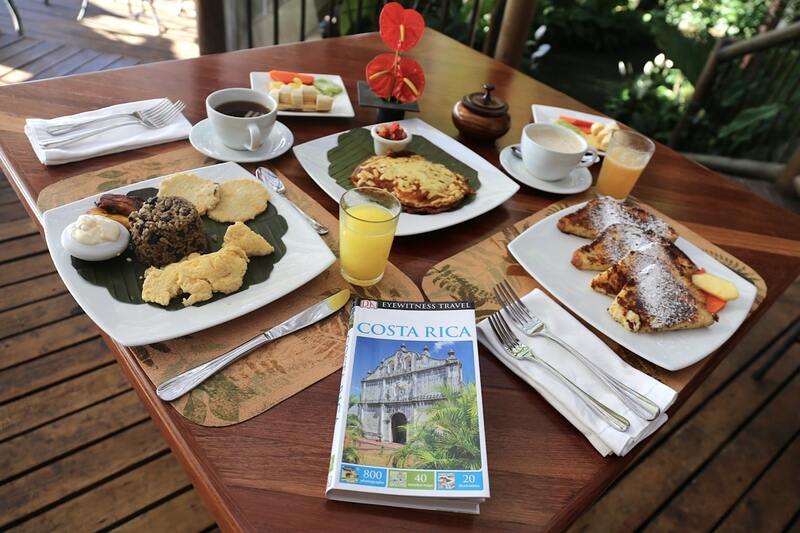 Brunch fans swoon sweetly for classic Costa Rican breakfast (gallo pinto, scrambled eggs, tortilla, fried plantain, sour cream), French Toast topped with coconut syrup and pancakes smothered in Mora, a local blackberry. Return in the evening and you’ll romance yourself over a fine feast as the night sky twinkles above. Chef Alvarado’s fine dinning menu includes house-smoked trout, Queen Carvina ceviche and slow-roasted pork belly with tropical kimchi. If you’re looking to explore the region with a friendly, local guide be sure to sign up for the half day Cultural Highlands Tour. The road trip begins in Barva, originally founded in 1561, the town has been declared a national monument and is filled with 17th and 18th century buildings constructed with walls made up of adobe and horse hair. 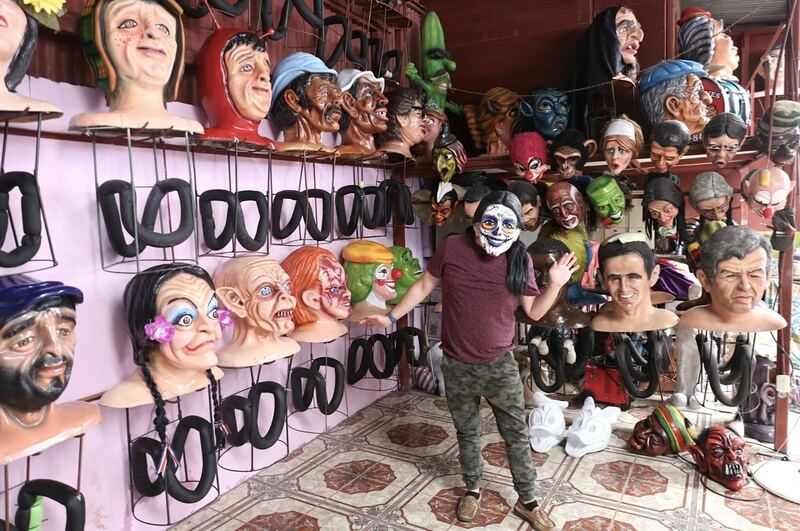 Barva is most famous for its mask makers (known locally as mascaradas) who operate colourful studios that help pass on these important traditions. The massive masks and puppets are used during community festivals where thousands of locals dance through the streets to the wild music of the cimarron. If you’re in town on August 24th you’ll have the opportunity to watch the biggest puppet and mask festival of the year, a jaw dropping parade in celebration of Saint Bartholomew. Next stop is Museo de Cultura Popular (The Museum of Folk Art and Culture) which recreates Spanish colonial Costa Rica in a century-old farmhouse, restored with period pieces and ingenious tools. 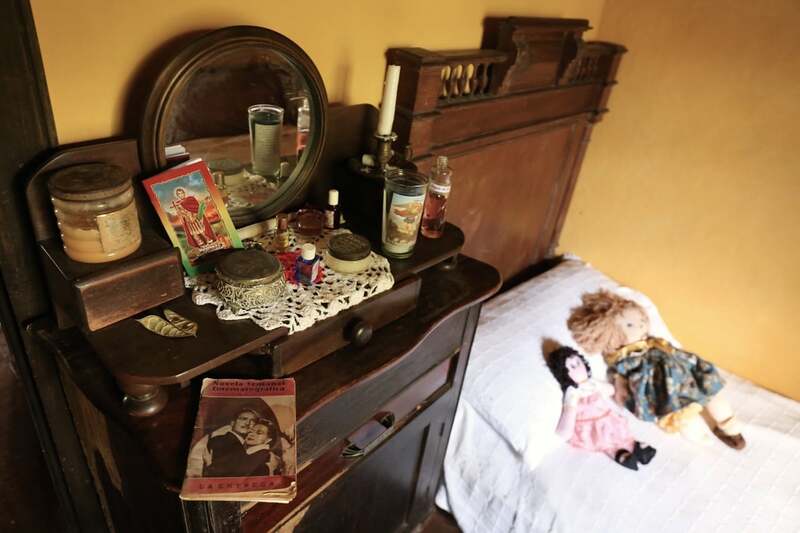 The highlight here is a stroll through President Alfredo Gonzalez Flores’ house which was occupied by his family in the early 1900s. It feels as though you’ve stepped back in time while slowly wandering through wood-fired kitchen, petite bedroom and sun-soaked veranda. The final stop of the tour offers a stroll through Heredia, the provincial capital founded in 1706, which features several old Spanish Colonial style landmarks arranged around Parque Central: the main cathedral, El Fortin, the Guard Tower as well as the Casa de La Cultura, a historic colonial residence. The cherry on my sundae was the hustle and bustle found at the city’s Central Market. It’s here you’ll enjoy the exotic sights and smells of indigenous fruit, vegetables, spices and herbs. 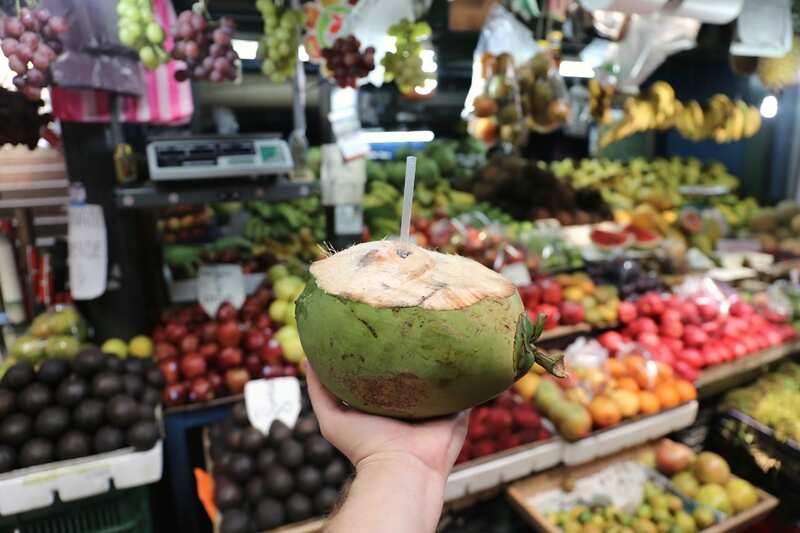 The tour finishes around the lunching hour so be sure to plop yourself on a stool at the back of the market and devour an authentic cheep and cheerful lunch. For just $3 I devoured a fresh queso topped plantain, steaming tamale and spicy beef stuffed empanada the size of my grinning face!